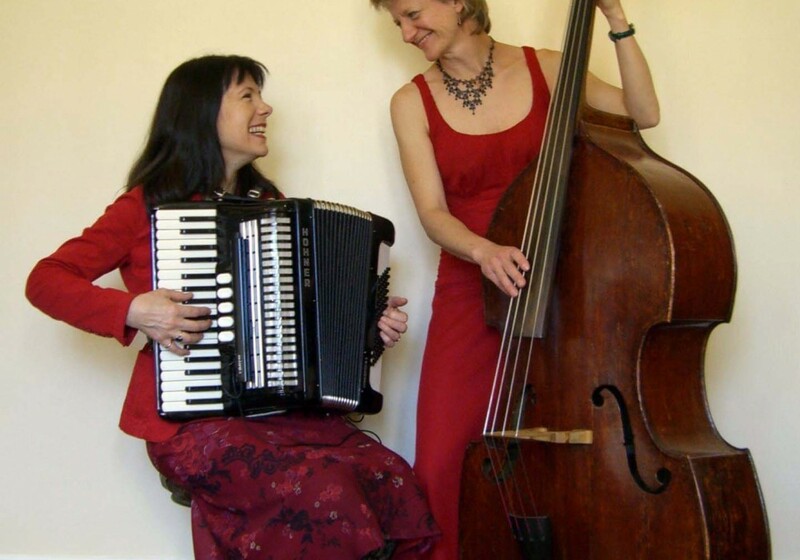 With accordion and double-bass we play evocative French melodies which are appealing to all ages. Capturing the charm and spirit of Paris, we create a romantic and relaxed atmosphere suitable for any occasion from wedding receptions to corporate functions. French cafe style music for all occasions. Paris Moon can provide the perfect finishing touch to an evening of good food, good wine, and good company. 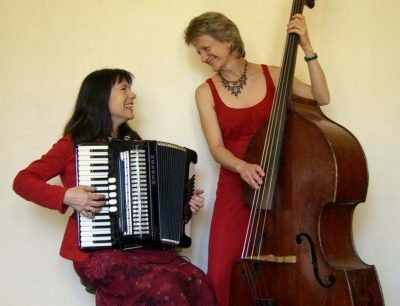 Paris Moon, an unusual combination of accordion and double bass played by Jacqui Doe and Sarah Luton, bring you their own interpretation of Musette. Their repertoire of waltzes, polkas, tangos, paso-dobles and javas along with popular songs of stars such as Edith Piaf and Frehel is evocative of a bygone era yet captures the timeless charm and romance of Paris. The band can also add a female vocalist singing in French, a second accordion and other instruments for a fuller sound.